So I’m sitting there coding the other day, and the phone rings. I pick up absentmindedly, because really, only Anna calls me. “Hello”, says the voice on the other end of the line, in an easy quasi-drawl “this is Al Gore”. My brow furrows, because I don’t believe it at first. 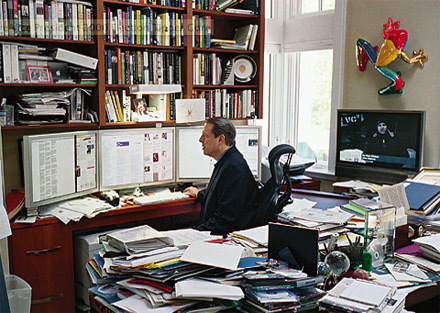 “The Al Gore who invented the Internet?” I ask suspiciously. “One and the same”, he says. I suddenly have a bad feeling. Barkley can sense it too, I think, because he opens one eye for a second, and then falls back asleep. Needless to say, I fixed the bug. I’d love it if you could give it a try for me before I send it over. You can find the binary here (replace the one inside Plex.app/Contents/MacOS). It fixes two issues and adds a new feature. Ryan W kindly added support for MP4 subtitles (apparently Gore hates MKV and has all his media in MP4 format). If it works well, I’ll spin another full release with the fixes. Here’s Barkley, with a ball for each fix. An Inconvenient Bug (or two) is a premium feature and requires a Plex Pass subscription.